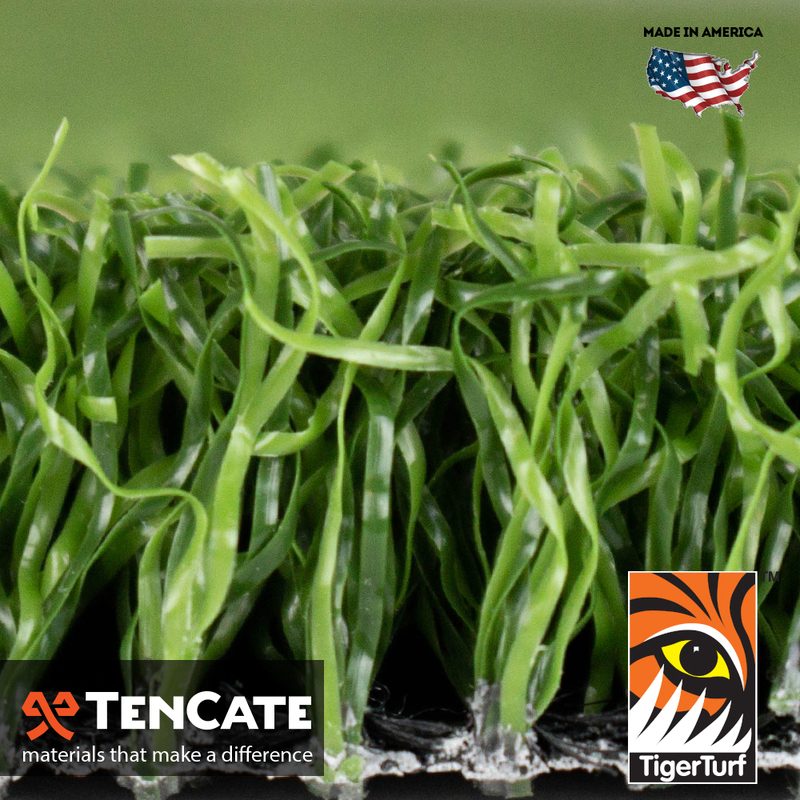 With TigerTurf Sure Putt, you can create the putting green of your dreams! 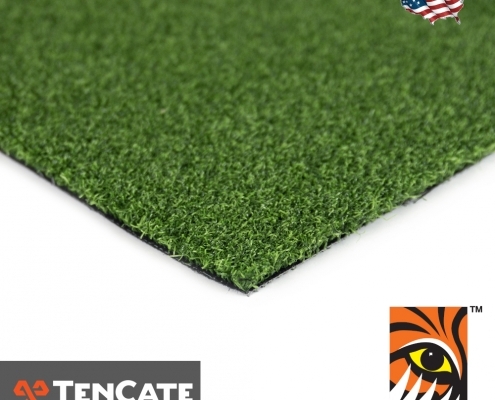 This product is designed with the avid golfer in mind by utilizing textured polypropylene yarns to replicate a natural bent grass putting surface. Sure Putt features a dual field and forest green blades to provide a beautiful and vibrant putting green that will compliment any natural environment. This product has an approximate 45-ounce face weight and an approximate ¾” pile height, making it perfect for any residential or commercial putting green installation. Sure Putt’s ¾” pile height provides a more natural appearance, a better ability to control the speed of the green, and a more realistic action when hitting pitch shots or chipping into! This product is heat and from resistant is 100% customizable. It’s uniquely formulated polyurethane coated backing provides greater seam strength and durability. 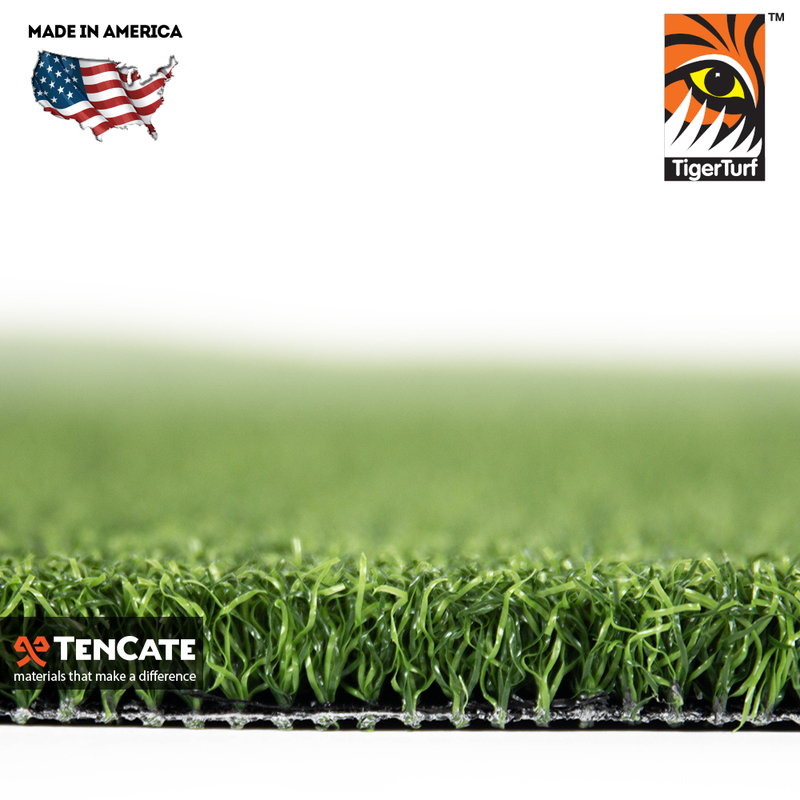 Each grass blade is individually engineered with U.V. stabilizers that are installed during the manufacturing process – ensuring that your putting green will retain it’s beautiful color. All of our putting greens are backed by an 8-year putting green warranty which ensures your putting green will last for years to come! 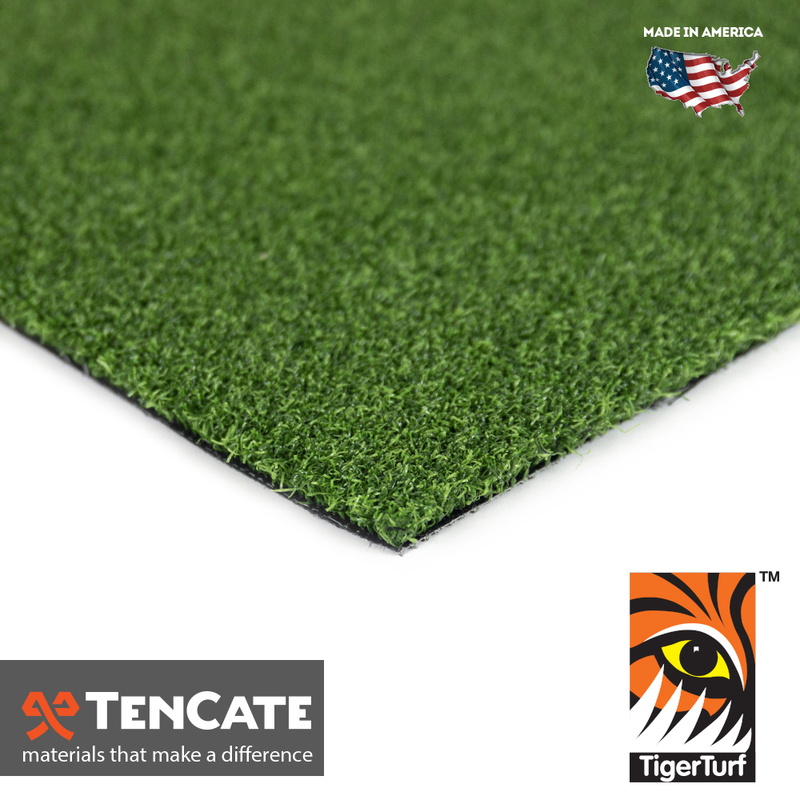 TigerTurf Sure Putt is the ideal option for any custom putting green installation for any residential or commercial property! 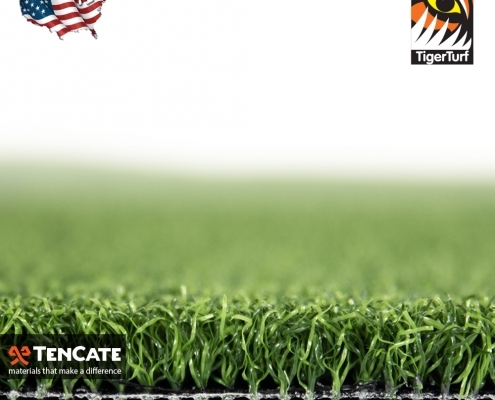 Synthetic Grass Warehouse cares about environmental issues and only produces products certified as lead-free and free of dioxin emissions. 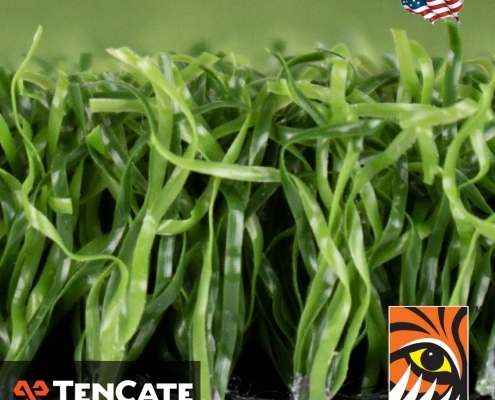 Matting Disclaimer: Synthetic grass, by the nature of the composition, will have some matting possibilities. It’s important to discuss the level of use with your installer to ensure you’ve chosen the right product for your needs. Matting is not covered under the warranty.